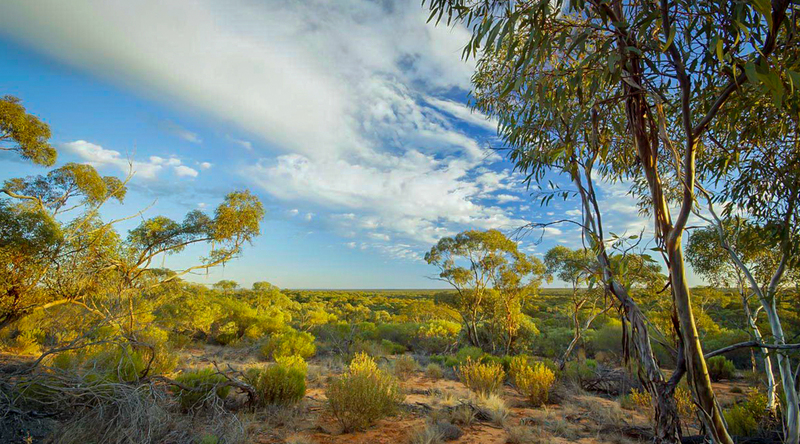 Scotia Wildlife Sanctuary is one of the most important nature reserves in the Murray-Darling basin. 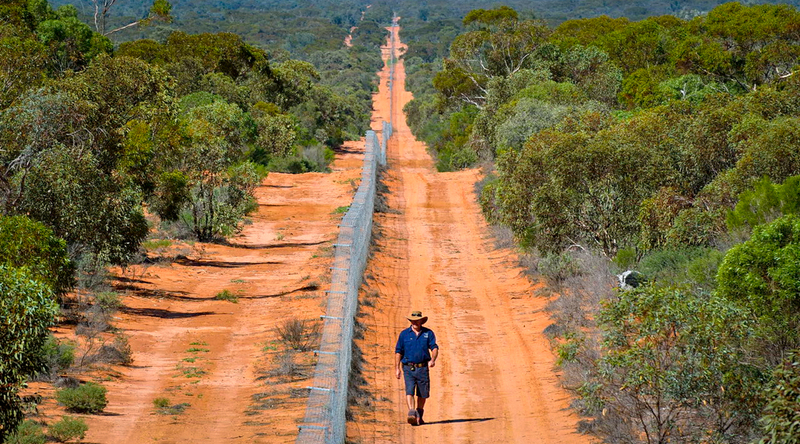 It contains one of the largest fox and cat-free areas on mainland Australia, and is home to some of the largest remaining populations of threatened mammals such as Bilbies, Numbats, and Bridled Nailtail Wallabies. 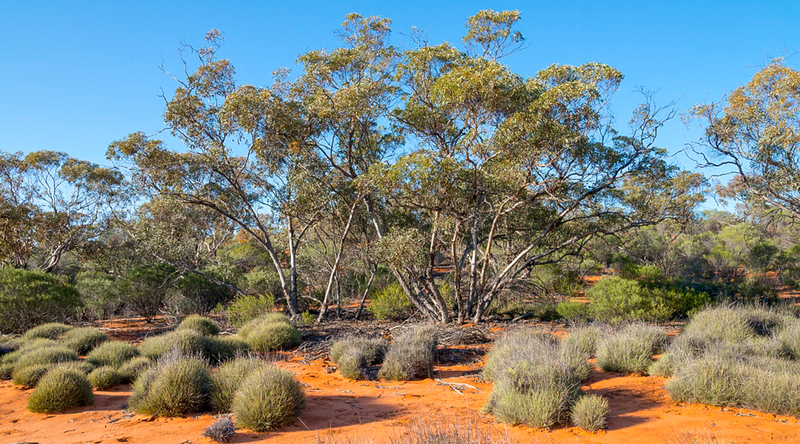 Located on the NSW-SA border, around 150 kilometres south of Broken Hill, Scotia is dominated by majestic old-growth mallee woodlands and stunning red sand dunes. The sanctuary is nearly 65,000 ha in size, placed within the Murray Mallee subregion of the Murray Darling Depression Bioregion. 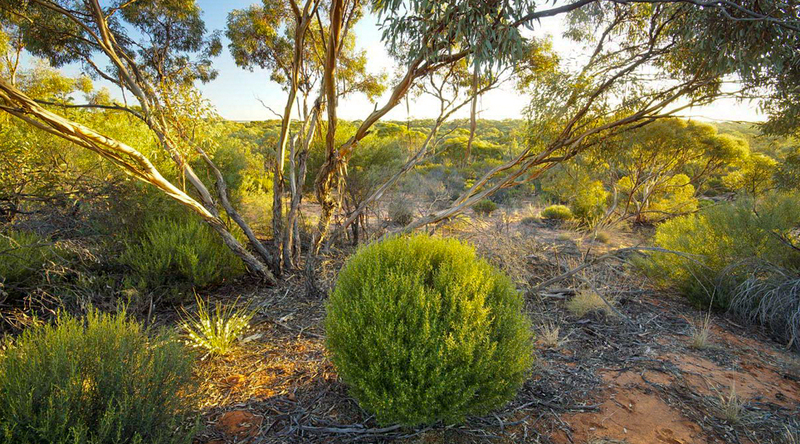 Together with adjacent reserves in NSW and SA, it helps protect one of the largest areas of intact mallee woodland in Australia. The sanctuary is made up of two former pastoral properties, Ennisvale and Tarrara stations, which were amongst some of the last areas of far western NSW taken up for pastoral activities. Pastoral activity commenced in the 1920’s and ceased in the mid-1990s when the property was purchased by Earth Sanctuaries Limited. AWC acquired Scotia in 2002. There are two dominant landforms at Scotia. The first consists of parallel sand dunes with narrow sandy swales and open calcareous swales in between. The dunes travel in an east-west direction, with each dune about 10 m high, and extending for up to 6 km. They are almost wholly stabilised, and are composed of red earthy sands and sandy solonised brown soils overlying sandy clays. The other dominant landform type is flat extensive plains of calcareous loamy sands overlying light clay soil. Surface flow of water is limited due to the sandy nature of the soils, and no watercourses are evident on Scotia. However, moisture accumulates in the swales and open flats where the soil texture is heavier. Scotia occurs on the boundary of the arid and semi-arid climatic zones, with an average annual rainfall of ~240 mm. Annual rainfall can be highly variable, with some years recording over 600mm of rain, and other years little over 100mm. The region experiences hot summers with mean daily maximum temperatures of over 30°C and maximums exceeding 49ºC. In contrast, winters are cold and frosts are common. 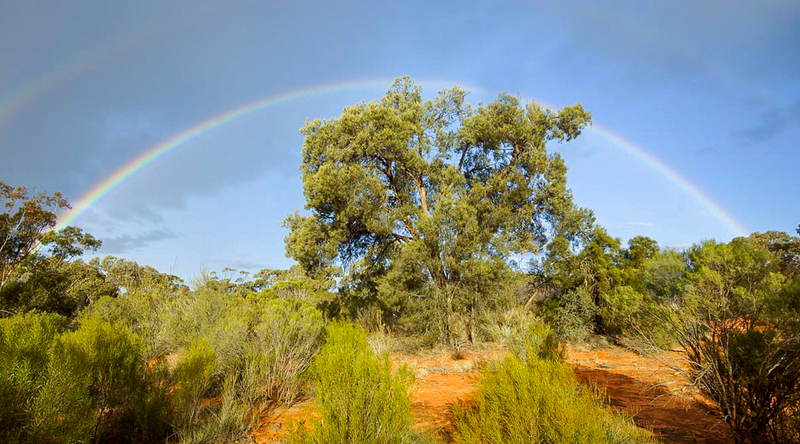 The vegetation on the sanctuary is dominated by Eucalyptus mallee communities (with an understorey of either spinifex or mixed shrub, depending on soil), Casuarina woodlands in the loamy soils, and mixed shrubland. There are also small pockets of an endangered Acacia community (Acacia loderi woodlands), a population of endangered Acacia (Acacia acanthoclada), and an endangered ecological community (Halosarcia lylei) associated with Scotia’s salt lakes. Bilby: the population of Bilbies is over 1,000 animals. 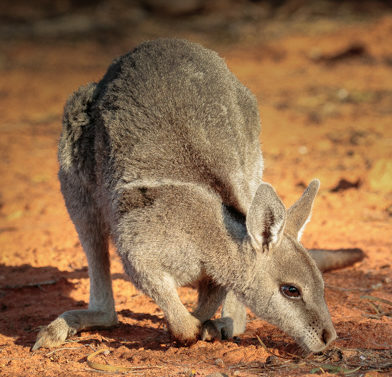 Bridled Nailtail Wallaby: over 1,700 animals, more than half of the entire population. 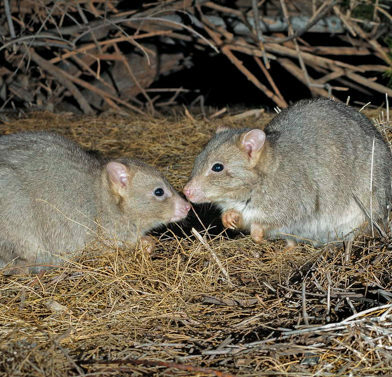 Brush-tailed Bettongs: over 120 animals. Burrowing Bettongs: around 700 animals. For these animals, the work at Scotia is vital to safeguarding them from extinction. Scotia also protects a population of mainland Mala (Rufous Hare-wallaby), a species that is listed as extinct in the wild on mainland Australia. 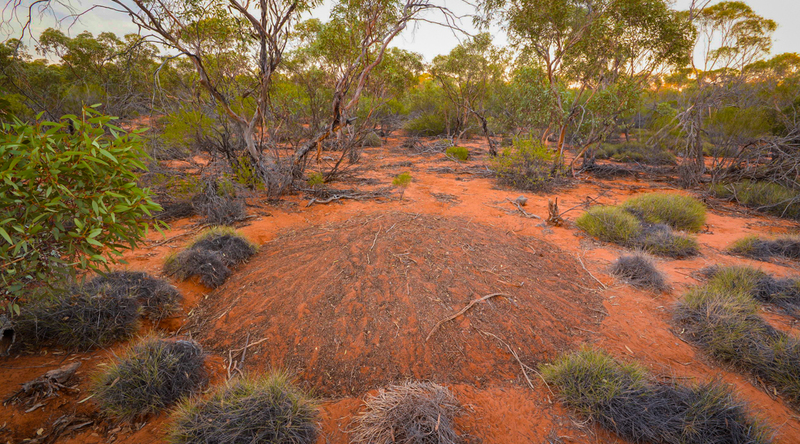 Outside the feral predator-free area, AWC’s land management protects a wealth of other inland biodiversity, such as a diverse population of small mammals, including threatened species such as the Southern Ningaui and Bolam’s Mouse. 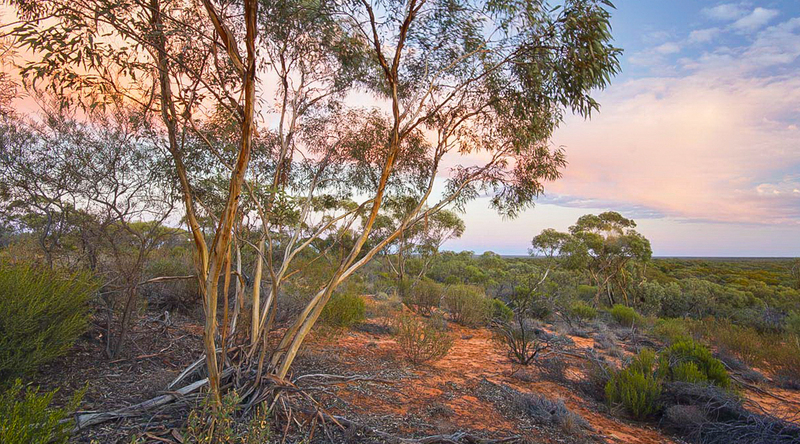 There are over 170 bird species such as Malleefowl, Major Mitchell’s Cockatoo, Scarlet-chested Parrot, Striated Grasswren, Pied Honeyeater and Chestnut Quail-thrush, and over 50 reptiles including threatened species such as the Western Blue-tongue and the Marbled Delma. 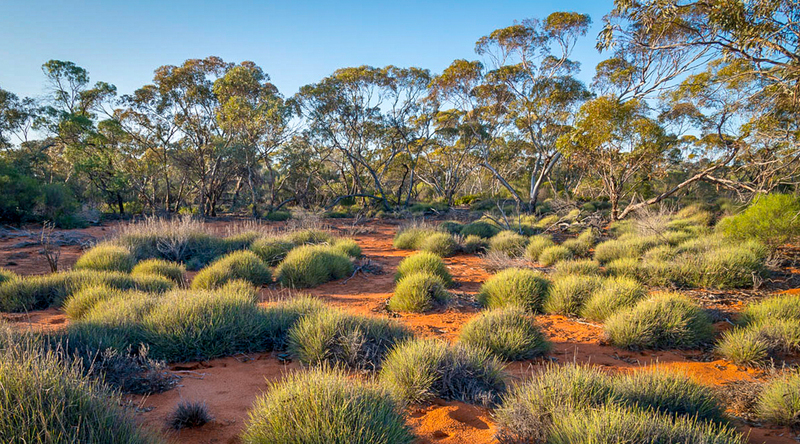 A feature of AWC’s land management at Scotia has been the establishment of one of the largest fox and cat-free areas on mainland Australia, enabling the successful return to far western NSW of several endangered mammal species which have been extinct in NSW for more than a century. It is one of the nation’s most important biodiversity reconstruction projects. Outside of this feral predator-free area, AWC implements a landscape-scale feral animal control program combined with active fire management and weed control. 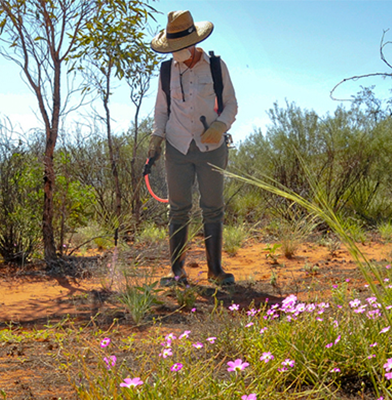 In addition, a dedicated scientific research facility (the Bettongia Field Station) supports a range of biodiversity research projects. 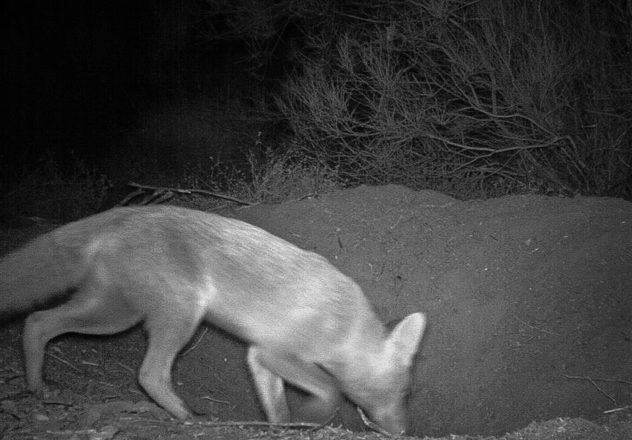 While feral cats and foxes occur across the Murray Darling basin, since the establishment of the 8,000 hectare feral predator-free area at Scotia there has only been one incursion by a fox. Outside the fenced area, foxes are controlled with M44’s (spring loaded bait stations which target animals with an upwards pull force of 2.5kg) standard baiting, and a range of traps are used to control feral cats. 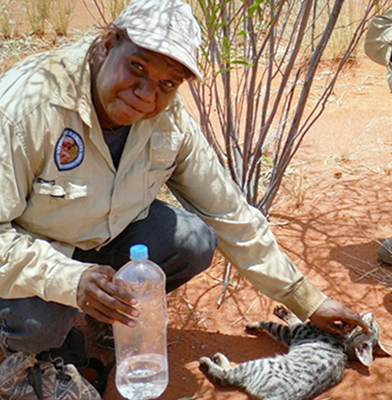 Research is underway at Scotia to develop more effective, landscape-scale control of feral cats. Feral herbivores are also kept out of the fenced area, with monitoring programs in place to detect any incursions by rabbits. Rabbits are controlled on the property through opportunistic shooting, baiting, and ripping of warrens. Feral goats occur at low densities on Scotia, and are removed through a program of trapping, mustering and culling. There is an especially high level of scientific activity at Scotia, with AWC staff undertaking almost 7,000 live trap nights and over 4,000 transect surveys annually, including spotlight surveys, bird surveys and tracking transects. 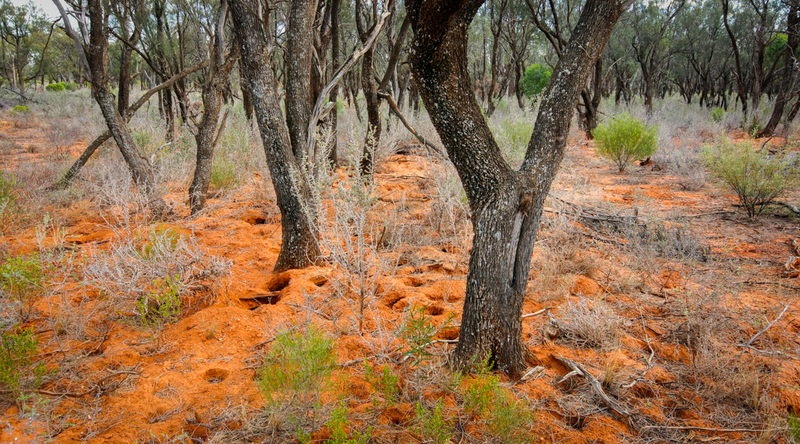 This survey effort measures a suite of ecological health indicators, including the population of highly threatened mammals, the diversity and abundance of key faunal groups such as threatened mallee birds and ground-dwelling reptiles, and the significance of threats such as fire, feral herbivore density and weed occupancy. 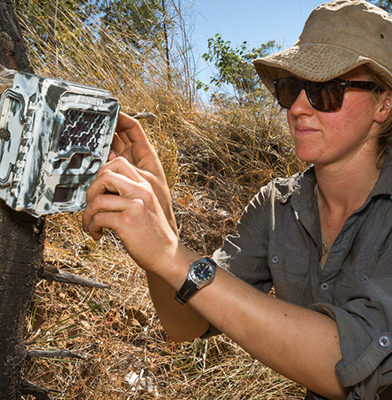 Projects examining the positive ecosystem effects of reintroducing digging mammals – for example, implications for the soil surface, and with it water infiltration and seed germination, the abundance of large insects etc. (La Trobe University and the University of NSW). An important part of the land management strategy at Scotia is active fire management. 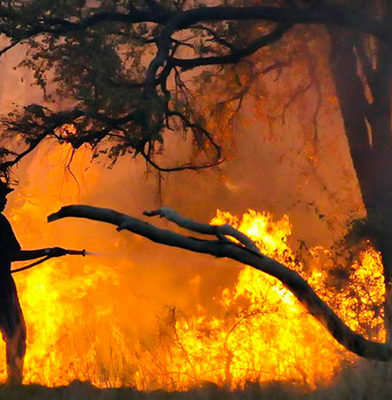 Wildfires in the mallee can be extensive, will burn intensely and can be difficult to contain. AWC carries out ground-based prescribed burning during the cooler months, aiming to maintain areas of long-unburnt mallee. Areas inside the feral predator-free area are burnt to provide refuge (areas with lower fuel) if a wildfire does occur. 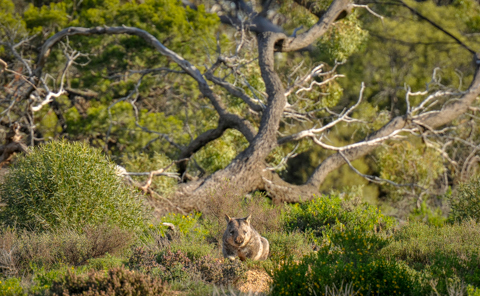 Since European settlement, the wildlife of the Murray-Darling region has been devastated by feral predators, habitat loss and the impact of feral herbivores. 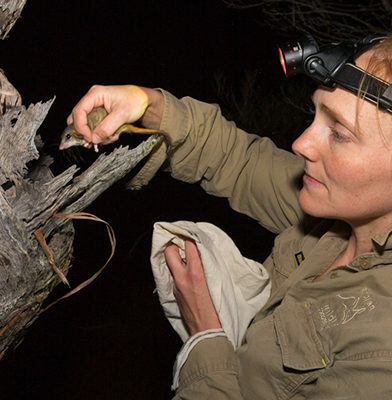 In Western NSW, almost half of all mammal species (excluding bats) have disappeared. 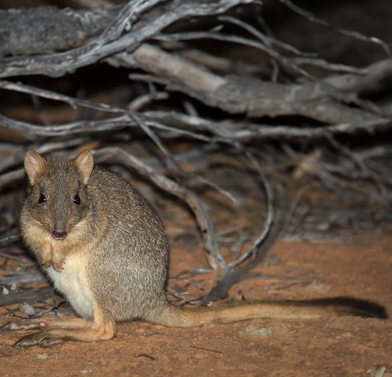 Most National Parks in the region are devoid of marsupials, having lost the majority of their small-medium sized mammal species almost a century ago. 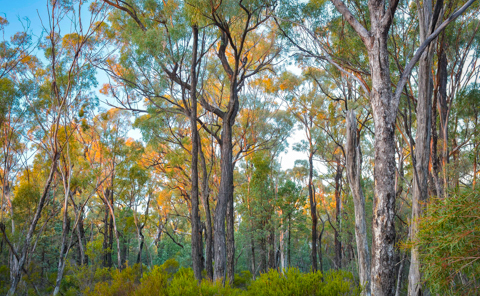 Scotia has a relatively intact vegetation structure thanks to its short grazing history, and thanks to the feral predator-free area and careful land management, represents a beacon of hope for many species in the region.